A subtle band still makes a lasting impression. 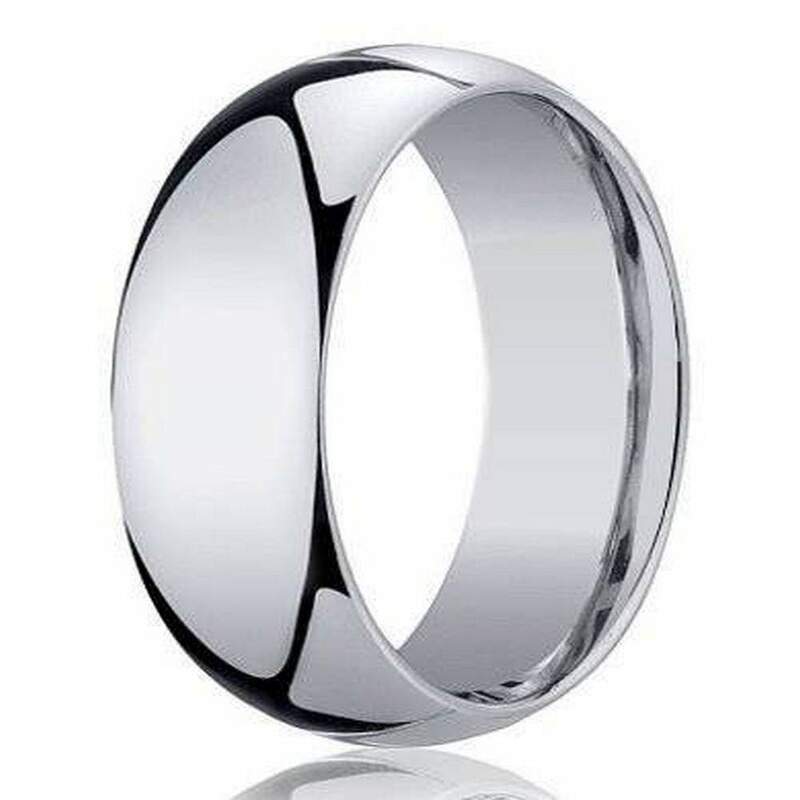 This 18K gold wedding ring for men has an eternally stylish domed profile. 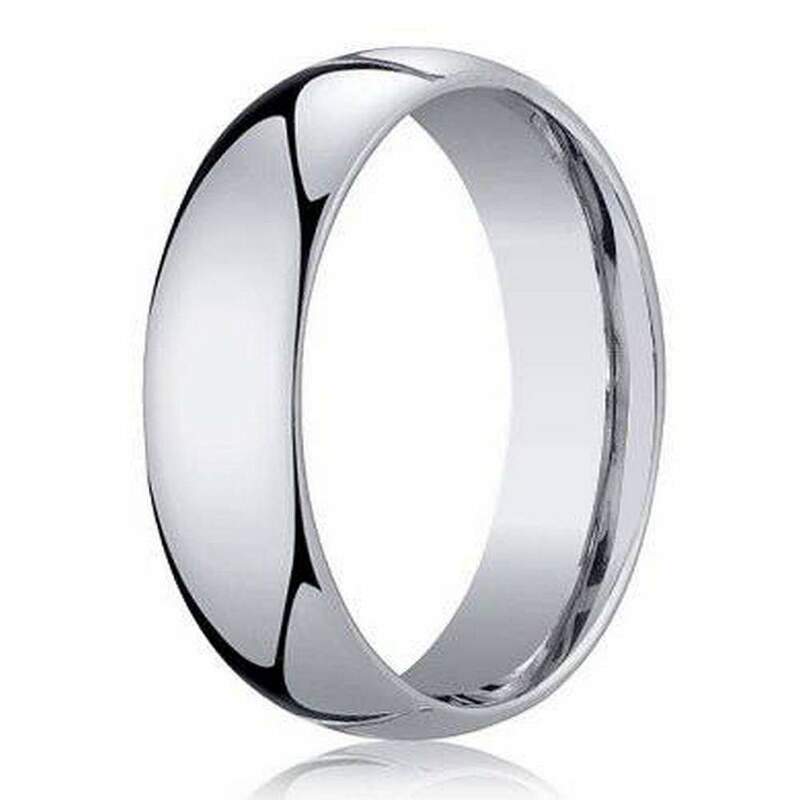 A gleaming high polished finish highlights superior 18K white gold in this designer 8mm comfort fit band. Comfort fit rings usually measure 1/2 size smaller due to the additional metal inside the ring. We recommend having your finger measured for a comfort fit ring at your local jewelry store.